Welcome back guys. 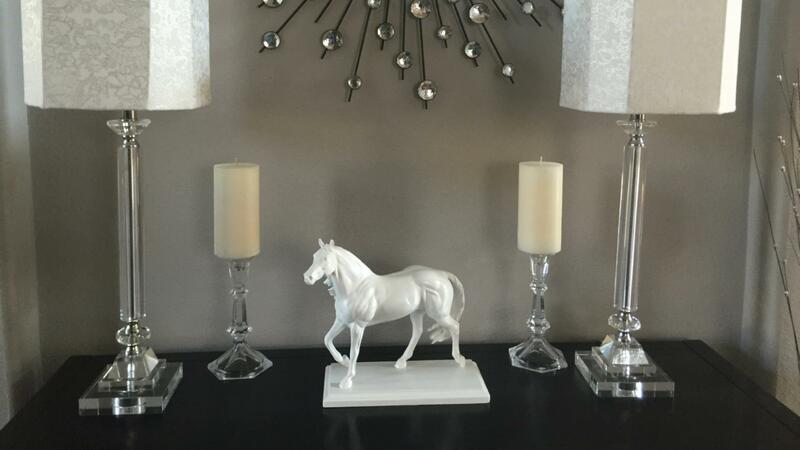 I always thought the White Horse Statues were so elegant in homes. You would find them in some of the more expensive decorated rooms. 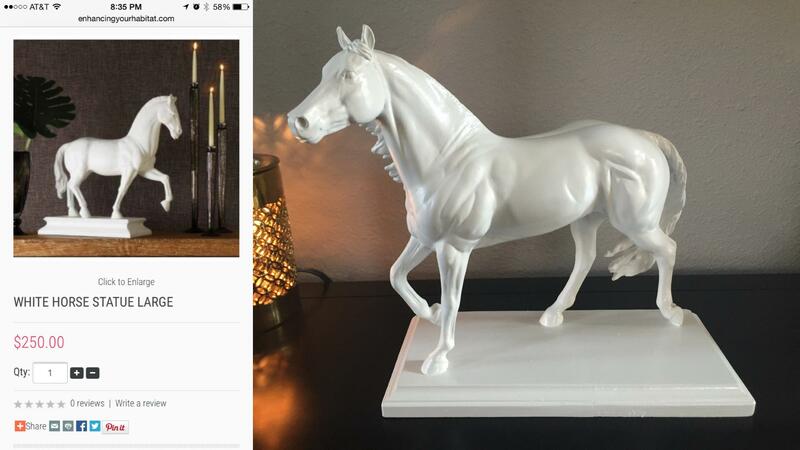 I even looked one up and found it for $250.00. 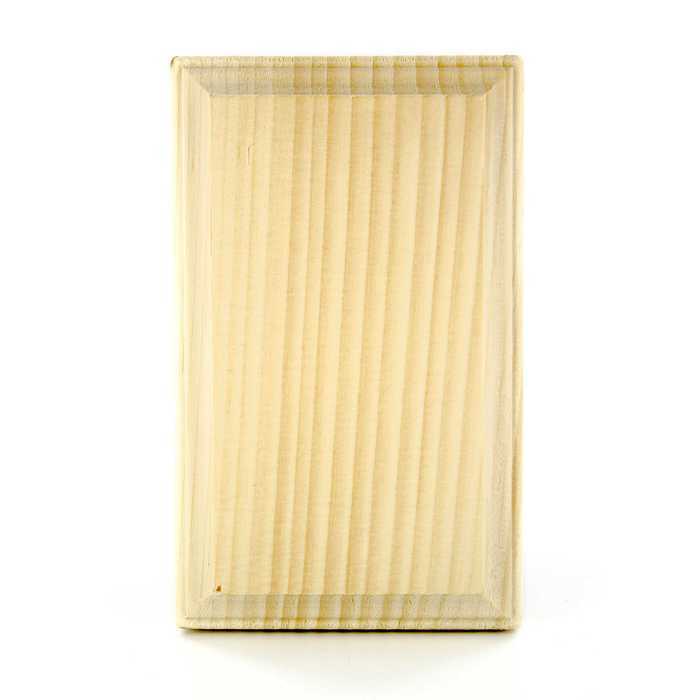 Immediately my mind went to how can I get this look for a fraction of the retail price and this is what I came up with. I hope you enjoy! The pic on the left is one I found online. The pic on the right is what I made. 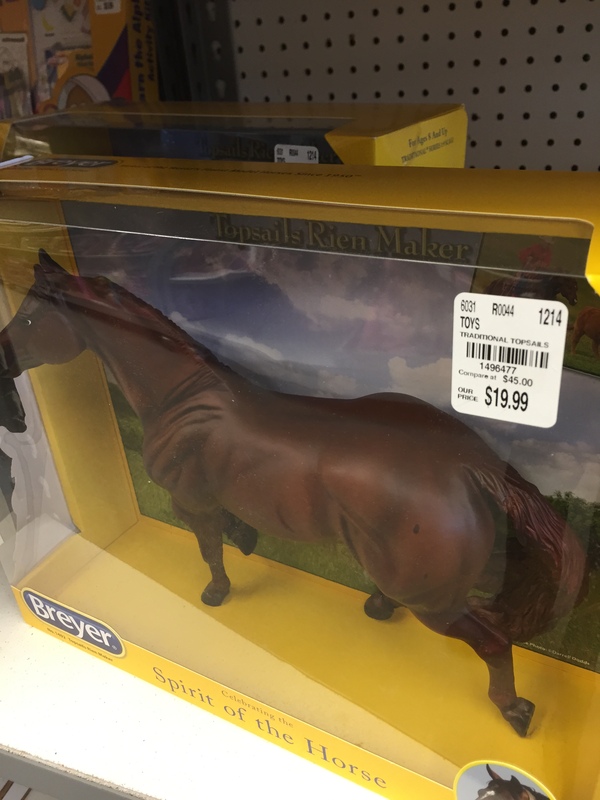 I also found this toy horse at Tuesday Morning for $20. 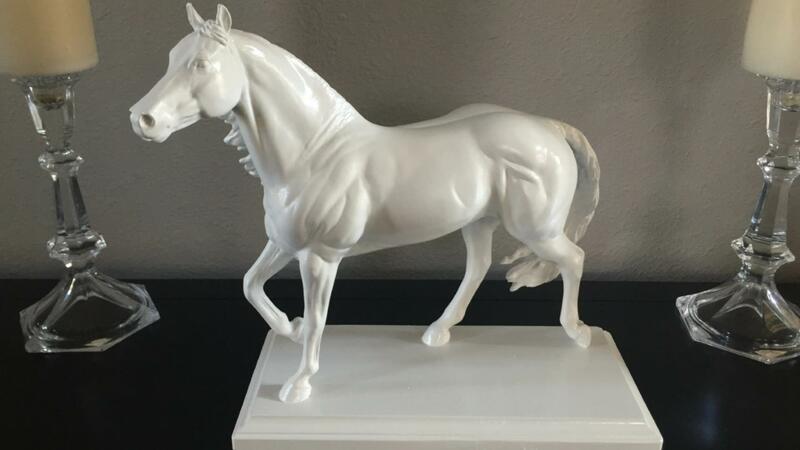 But feel free to use any horse, old or new. 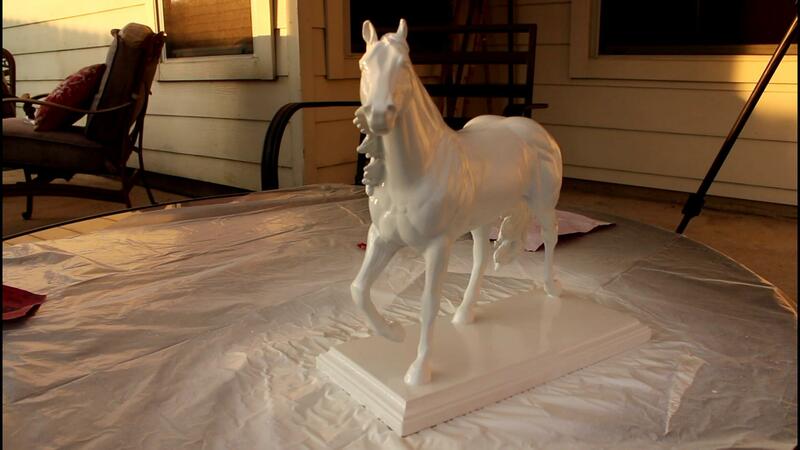 First I glued the horse on it’s base and spray painted white. I later decided that I wanted a different base. You’ll see the one I use next. 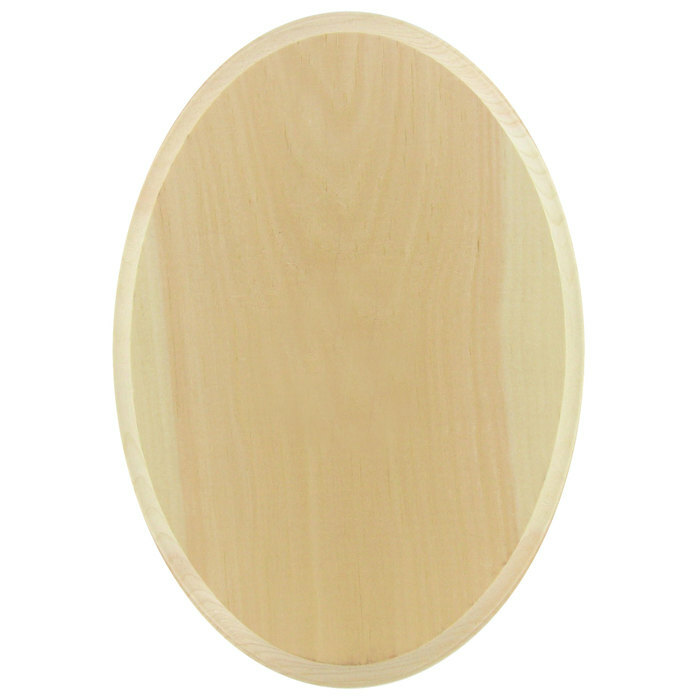 But, if you prefer this round base. Then you’re done! That simple. 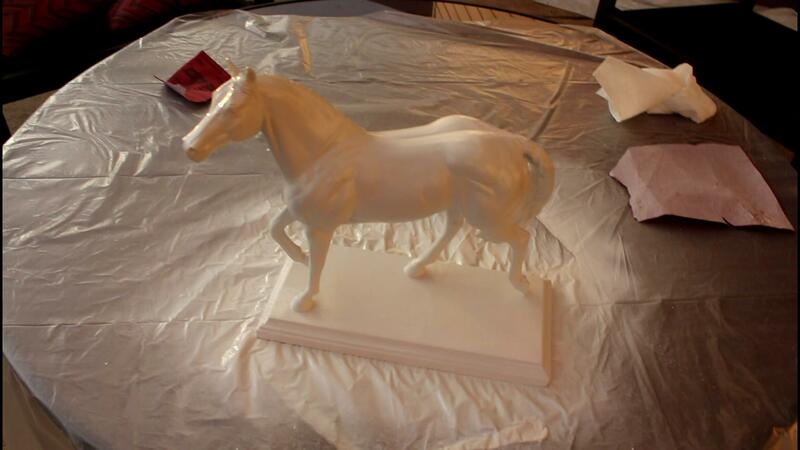 Here is the horse after the first coat of spray paint. 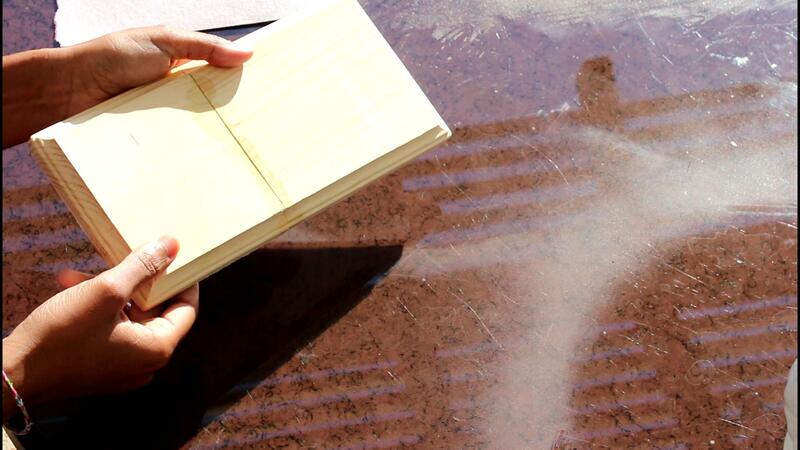 There are minor imperfections. 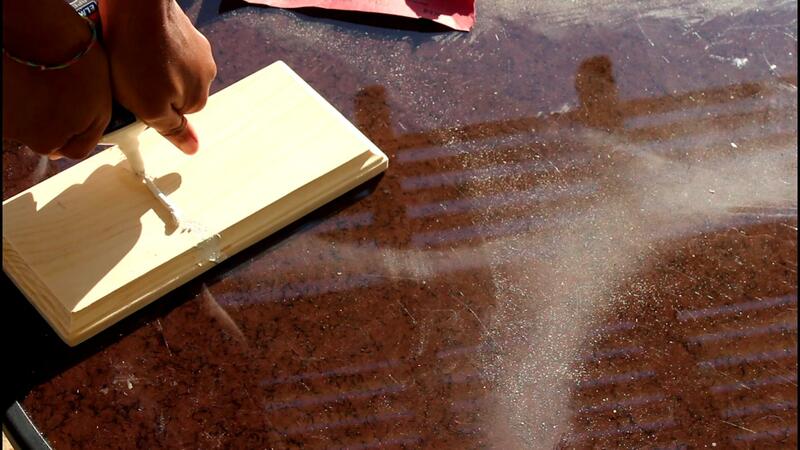 Simply sand a little with a 120 or higher sand paper before you apply the 2nd coat of spray paint. 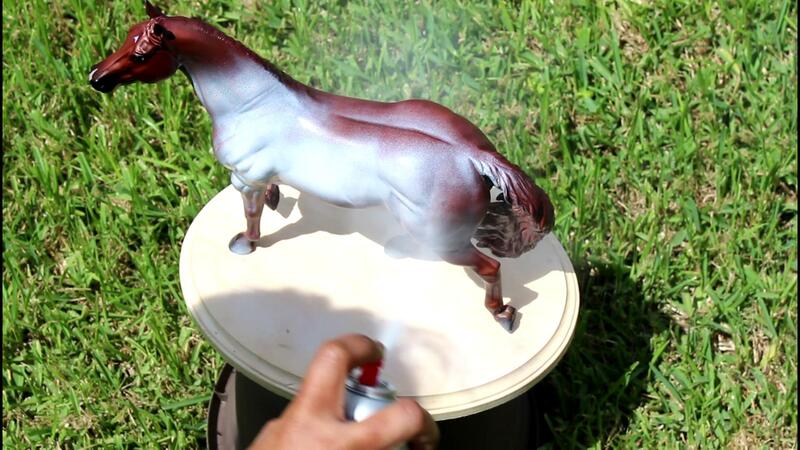 I used a total of 2 coats of paint for the horse. So, here’s the base I decided to go with. You can find these at Hobby Lobby for $2.99 for a pack of 2. 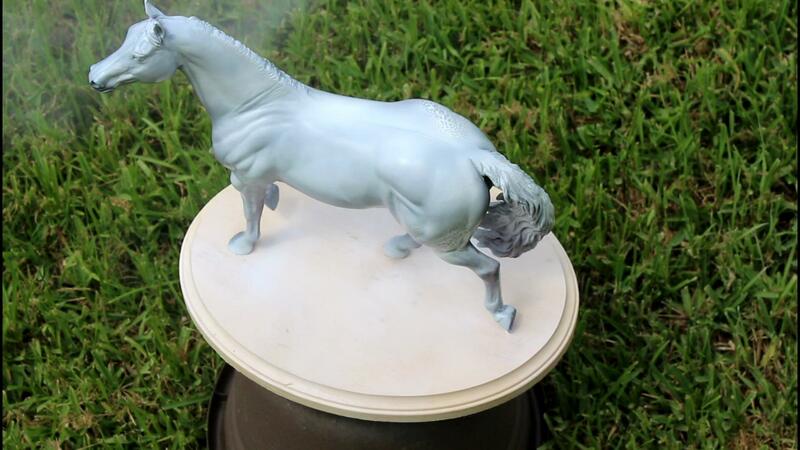 I removed the horse from the round base and placed it on the 2 pieces for measurement purposes. I will need to cut the ends off to make a flush connection. 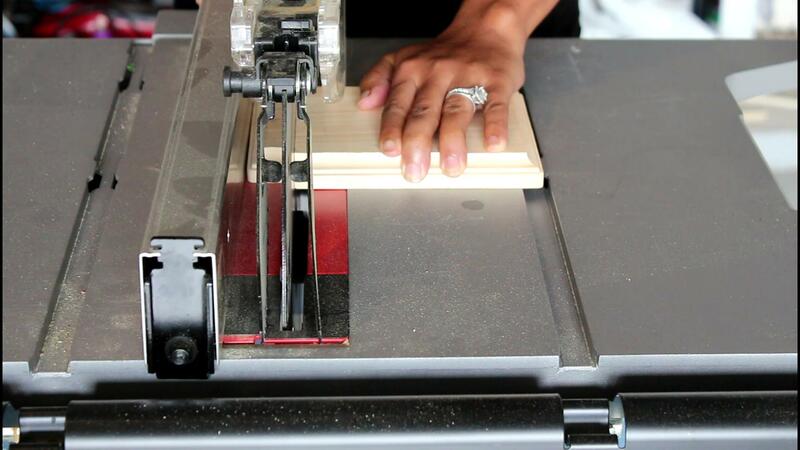 Here you see me marking the ends that I will cut off. I didn’t use any specific measure. I just cut off enough on both pieces to make the base long enough for my liking. 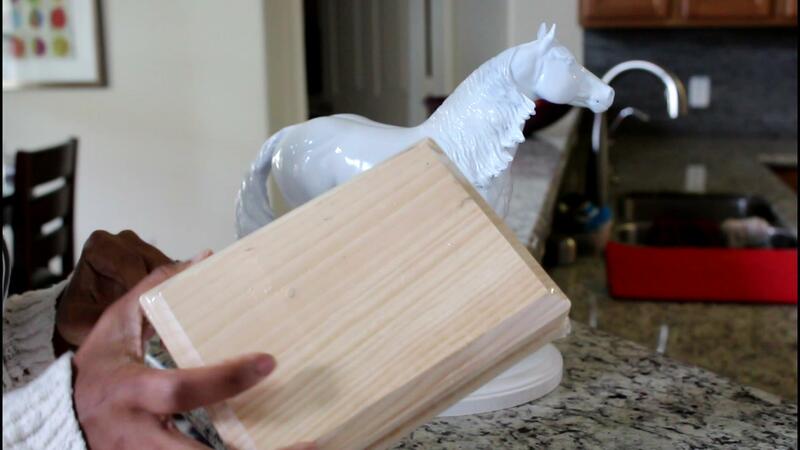 So, I decided to pull out my power saw to cut the ends off the base. This is totally optional, but definitely easier. You could also use a hand saw. Now, I’m gluing the cut pieces together. 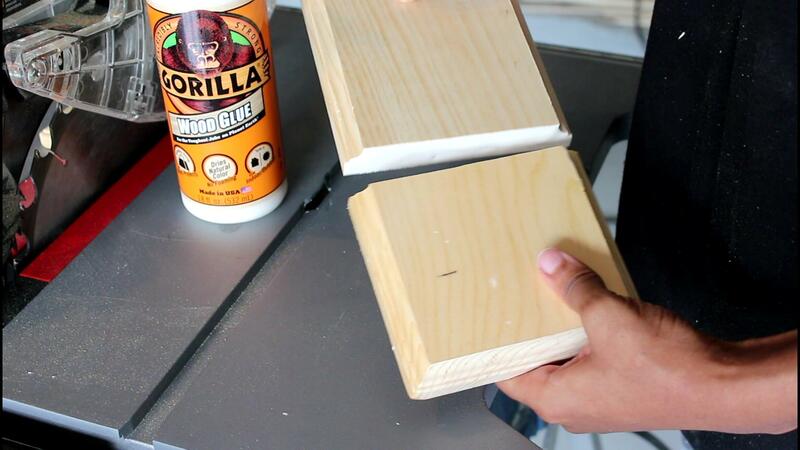 I’m using Gorilla wood glue for this job. I clamped the 2 pieces together to keep them in place while the glue dried. 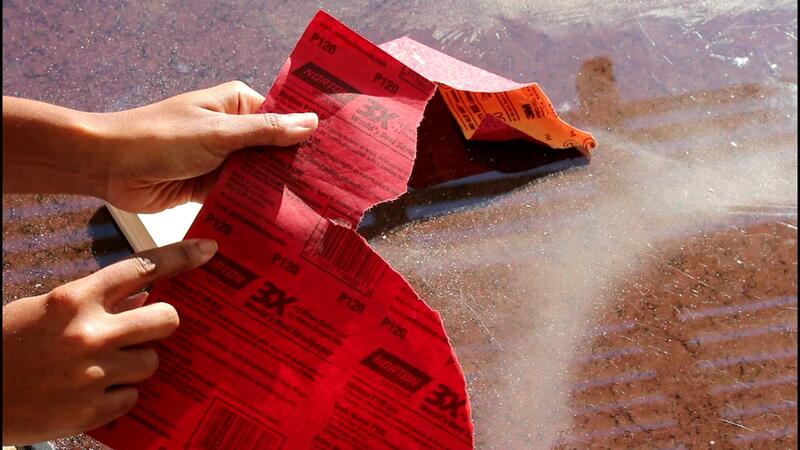 I also cleaned up any excess glue. After about 2hrs, the piece was dry enough to work with. 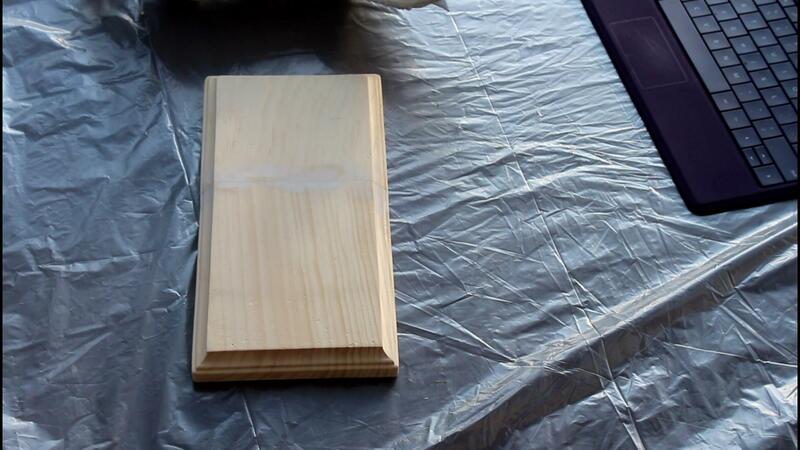 Now I’m filling the seam with wood filler to hide any gaps. 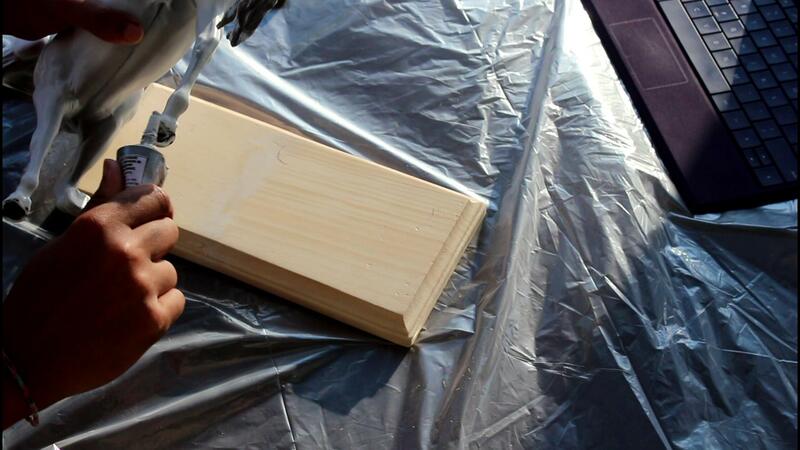 The wood filler takes about 30min-1hr to dry. 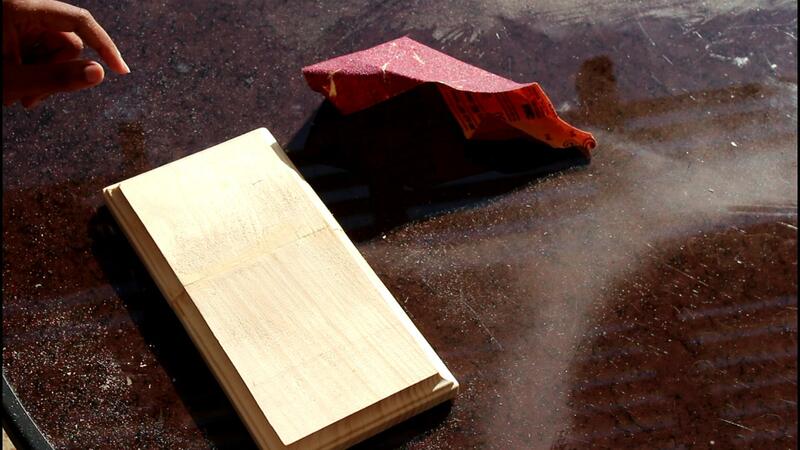 I sand down the wood filler and the complete wood base with 120grit sand paper. 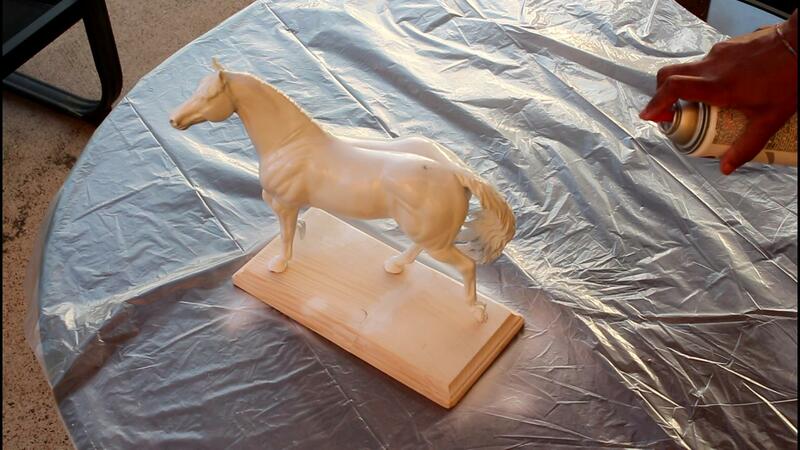 This does a final smoothing and preps it for paint. 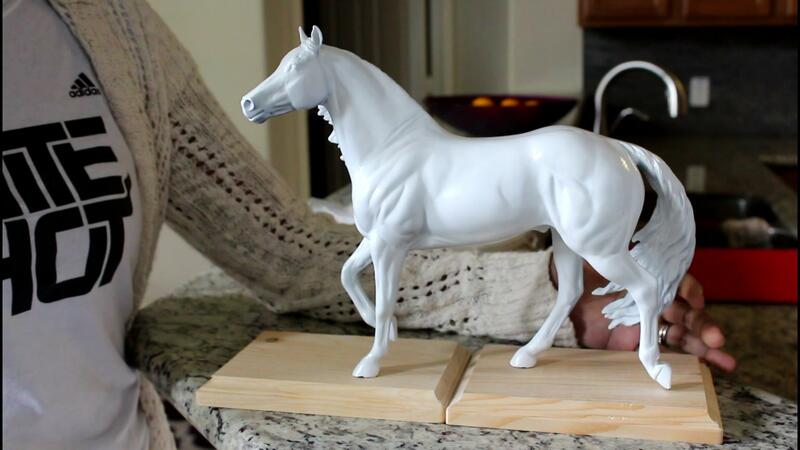 Now I’m gluing my horse onto it’s new base. 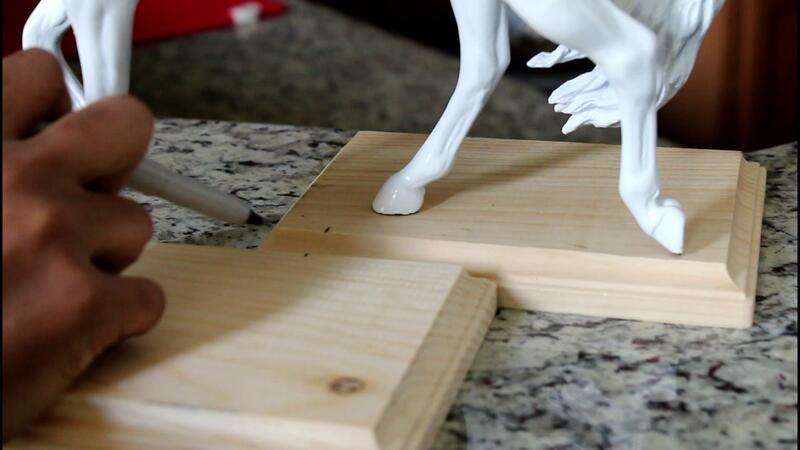 I’m using E6000 glue on the hooves of the horse. 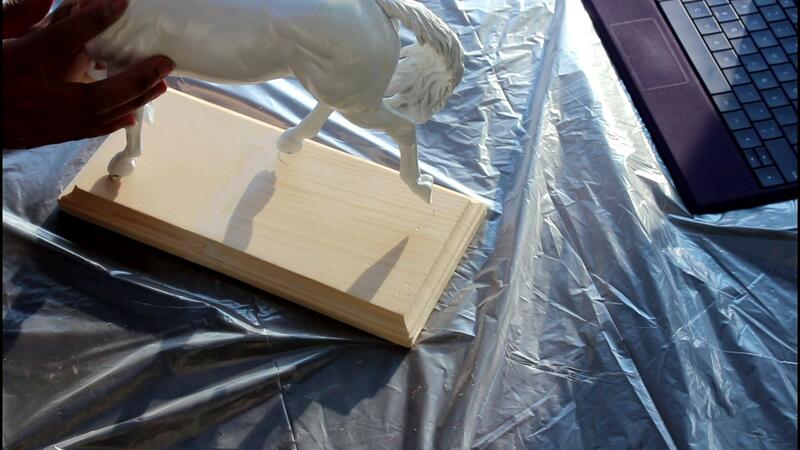 Now I spray paint the wood base, plus the 2nd and final coat on the horse. My spray paint was also a primer. Here are a few pictures of the final outcome. I hope you’ve enjoyed this step-through. 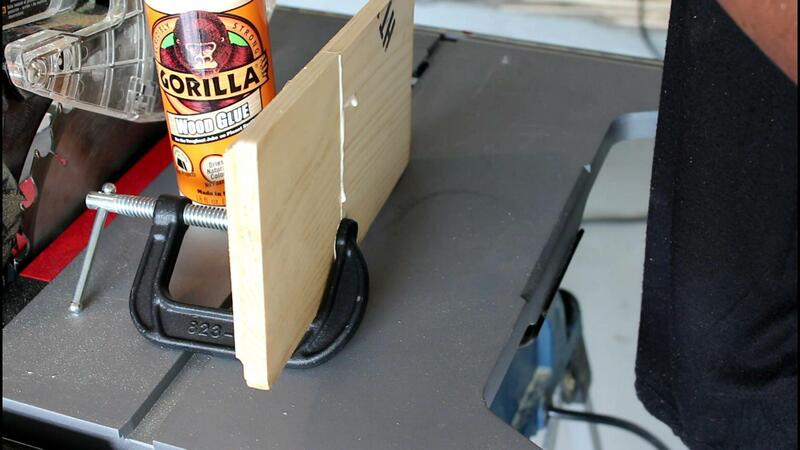 What a great DIY… Thanks for sharing!! !